0.1 The Ahmadu Bello University (ABU), Zaria, Kaduna State, has published the admission list for the 2018/2019 Academic Session. 1 How To Access The Ahmadu Bello University Admission List. The Ahmadu Bello University (ABU), Zaria, Kaduna State, has published the admission list for the 2018/2019 Academic Session. This is to bring to the notice/awareness of candidates that applied for admission into the different degree programmes of Ahmadu Bello University (ABU), Zaria, Kaduna State that the Admission list has been uploaded online by the school authority for all to access their admission status. How To Access The Ahmadu Bello University Admission List. i. 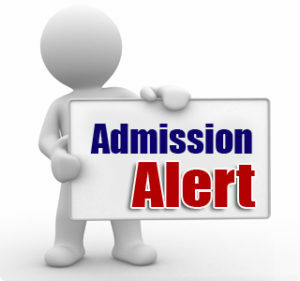 Candidates should visit the admission portal at https://putme.abu.edu.ng/index.php. ii. Click on the login button. iii. Fill in your JAMB registration Number in the required column. iv. Choose your state of origin. v. Once you do the above, you click on Login to access your ABU admission status. Note: Once you name is out in the admission list you are advised to visit the JAMB portal to Accept Or Reject Your Admission. If you do not do the above, your admission will be withdrawn at any time. 2. With your username and password Login to your Jamb profile. 4. Choose your Exam year and Enter your registration number in the required columns. 5. You then click on ‘Check Admission Status‘ to access your ABU admission status. Super Bravo To All Admitted Students. Please Click On The Facebook Share Button And Share With Friends. !